Hey, little readers: your dreams have come true. LEGO heroes show you phonics in an epic story and workbook box set. How do you like to learn phonics? We like to do it with Superman, Batman, Wonder Woman and their friends. Now this handy box brings you ten action-packed LEGO DC Universe stories to help you read better from day one. They each practise essential phonic sounds and have cool colour pictures of all your favourite DC heroes. There are even two workbooks specially to help you with vowel sounds. We love the carry case too: it goes wherever you do. LEGO DC SUPER HEROES: PHONICS BOXED SET #1 : Get That Cat! 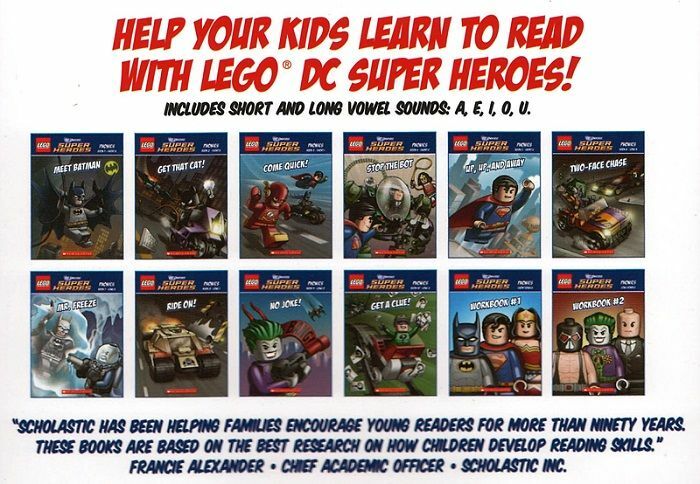 LEGO DC SUPER HEROES: PHONICS BOXED SET #1 : Come Quick! 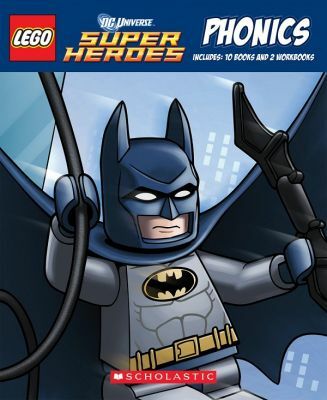 LEGO DC SUPER HEROES: PHONICS BOXED SET #1 : Ride On! LEGO DC SUPER HEROES: PHONICS BOXED SET #1 : No Joke! LEGO DC SUPER HEROES: PHONICS BOXED SET #1 : Get a Clue!